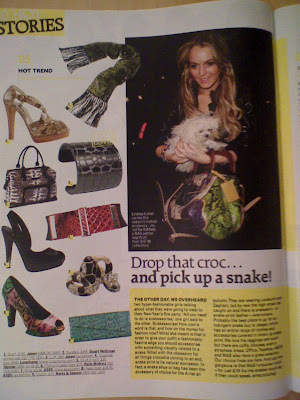 Browsing through Grazia, it's great to read that snakeskin is back on trend! Apparently all things crocodile is on its way out and snake print is its natural successor. 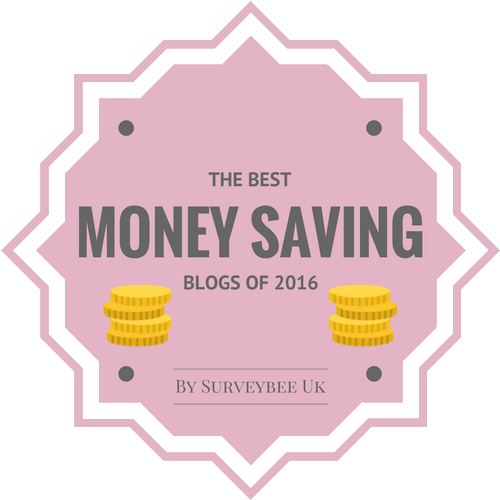 Jaeger, Topshop, M&S and ASOS have a great selection on offer. But, if like me, you love thrifting, try picking up a bargain from your local charity shop, flea market or boot sale. I scored this gorgeous Joseph snakeskin jacket from the PDSA charity shop last year for only £5-still not worn it yet though, a must for this summer, I think! Try picking up a vintage clutch or bag, this is a great way of getting into the trend too! Ah the Jospeh jacket - very 1990s! Great find, hurry up warm weather. I have a snake phobia so I will sort of admire the look from afar but I do have a Reiss faux snakeskin belt which I overcome my distaste for! Hi kate-yes, I need to start wearing a lot of my unworn clothes once the weather gets better! I like leopard print, but lived through too much bad 90s snake print and early noughties python print to want to go anywhere near it just yet. I still like the mock croc though! I personally limit snake/croc skin to shoes and bags, I think it's the strangely smooth texture I am not a fan of. I am intrigued to see what the jacket looks like on though, so I look forward to seeing this in an outfit post! Ooh, the jacket is fantastic! Great jacket! I love snakeskin, especially in shoes and handbags! I'm looking to this trend! Hi skye-I will really dress this jacket down, rather than up, jeans and a vest top! Hi winnie-like I said to skye, I'll dress this down as it is a statement piece! Hi budget chic-yes, its a great trend, I agree thanks my dear! i agree...thrifting is the best way to score pieces like this. nice find with that jacket! I will have to wait till it warms up to wear my Ossie snakeskin jacket again...I hate the winter! Hi Wendy-oh me too! I feel soo unstylish in winter plus it's really cold at the moment! Hi seralouise-have you checked online? That jacket is another example of your amazing thrifting karma, lady. It's a knockout! Husband Mike got me a pair of snakeskin pumps for my bday, so I'm all set for this trend. I will be picking up a pair of shoes in snakeskin. Decadent jacket! Hi sal-thanks for your lovely comment, glad you're rocking the trend too! Hi silje-yay, can't wait to see these, bound to be gorgeous like you! Oooh cool coat, so 90s! exotic is totally the it trend. i will do accessories in exotic. Oh I think the jacket is great, a good find, dear. So cool! What a find! Thanks so much for the comment, too. omg, is looks so real... is it? I think snakes scare me a bit but if it is the real deal, you did great if you just paid £5! Happy New Year & have a great 2009! Hi fashion dreamer-thanks, I do have some great pieces, I just need to start wearing them!! Hi savvy-a good choice my dear! Hi the seeker-always lovely, thanks! Hi ellie-thanks and you're so welcome! Hi vain and vapid-it is real leather! happy new year too! I love exotic trends. 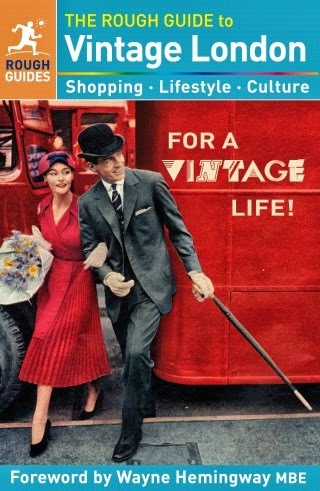 I'll definitely look out for this when I go vintage shopping next week! Hi LaMimi-yes, hope you find something my dear! I can't do snake skin. It's not me. I've tried. Ah yes, lovely jacket! I am looking for a snakeskin skirt though. Great find Sharon - I can't wait to see how it looks on! I'm loving animal prints right now, especially leopard, zebra and giraffe. Hi secretista-oh well, I'm sure you'll rock another trend this summer! Hi janettaylor-thanks for such a lovely comment! Hi yiqin-that sounds great, hope you hunt one down! Hi danz-yes, I think it will be a great trend for the summer, animal prints! snakeskin is so back!dont know if it ever goes out of fashion. The jacket looks really interesting! I can imagine you wearing it very well! Thank you so much for your understanding darling, you’re sweet and lovely. I’m not going to disappear, I’m just not appearing so many times a week. oo that is such a cool jacket! i'd love to see an outfit post with that coat! Hi erika-yes, I agree and thank you my dear! Hi marian-lovely as always, thanks! Hi the seeker-soo pleased to hear, take care! Hi Lacouturiernyc-thanks my dear, I'll do one soon! Hi lil midget-yes, its a great versatile trend!